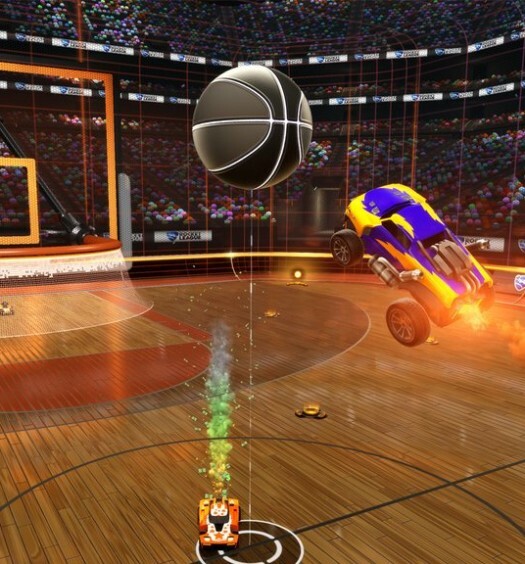 One of the big announcements from last night’s The Game Awards was that Psynoix Inc.’s multiplayer sensation Rocket League is now officially headed to Xbox One in February. Bundled with the Xbox One release will be the Supersonic Fury, Revenge of the Battle-Cars, Chaos Run and Back to the Future Car content packs. The four content packs contain six extra Battle-Cars, over 60 customization items and the time-traveling DeLorean from the movie Back to the Future. The Xbox One release will laos feature the new and exclusive “HogSticker” Warthog from the Halo series and “Armadillo” armored personnel carrier of Gears of War fame. Psynoix is said to be planning to “aggressively” support the Xbox One release with free downloadable arenas and additional DLC. Rumors swirled earlier this week that Rocket League was on its way to Xbox One when a listing for the port showed up on Taiwan’s Game Software Rating Regulations website. The game originally released to widespread acclaim and commercial success on PlayStation 4 and PC in July.